Learn more about climbing The Mountaineers' basalt columns. Our basalt columns, called The Mountaineers Massif, are open to the public, but please note that climbing them requires skill and caution. Climbing anywhere on the columns is "use at your own risk." 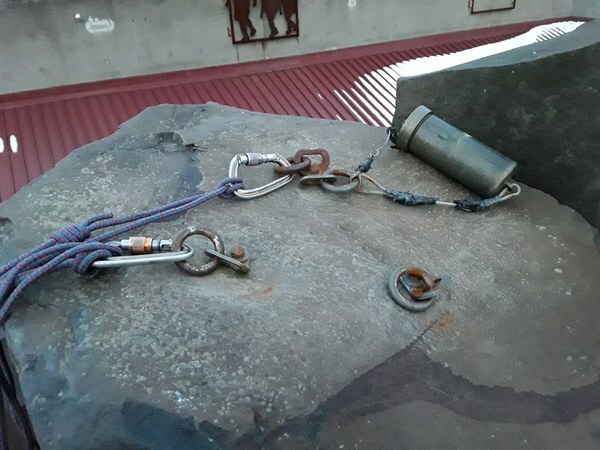 Mountaineers staff will not setup any ropes, and users are responsible for knowing how to safely climb on the columns. Metal bars connect the columns to one another - do not grab or place any climbing equipment on these bars. Bolted anchors are located at the top of the columns as seen in the photo below.